Ghostlight Announce SMT: Devil Survivor Games | Blog | Ghostlight Ltd.
Hi everyone. With pre-orders opening for Fate/EXTRA, it’s been a big week here at Ghostlight and it’s just got even bigger! I’m delighted to announce that we’re going to be working with the highly acclaimed team over at Atlus once again to release both the eagerly anticipated Shin Megami Tensei: Devil Survivor Overclocked on Nintendo 3DS™ and its sequel, Shin Megami Tensei: Devil Survivor 2 on Nintendo DS™, throughout the PAL region. We’ve received a record number of emails about these games and Shin Megami Tensei: Devil Survivor Overclocked was by far the most requested game after we announced we would be releasing games on the Nintendo 3DS. Considered one of the best RPGs of 2009*, the original Devil Survivor presented gamers with a novel premise: Tokyo is in full lockdown, the government's swift, coldblooded response to a surprise demon invasion. While you and your friends must solve the nature of the inter-dimensional rift through which the horrific creatures are entering your world, saving the world is not your highest priority; staying alive, on the other hand, is. Expanded and enhanced, Devil Survivor Overclocked for Nintendo 3DS builds upon the game's original release with the addition of voice acting for the entirety of the game's lengthy, unconventional narrative. Moreover, that very story, already boasting multiple endings based on critical decisions by the player, now concludes with a special eighth chapter, a rousing epilogue for Shin Megami Tensei fans. The game's beautifully remastered hand drawn artwork and character portraits benefit from the new system's higher resolution screens, offering players a crisper, higher fidelity experience. Nintendo DS and Nintendo 3DS are trademarks of Nintendo. © 2012 Nintendo. Hailed as "a solid sequel" by Nintendo Power, SMT: Devil Survivor 2 continues a long tradition of excellence for the acclaimed Shin Megami Tensei universe of games. Destructoid.com gives Devil Survivor 2 a resounding 8.5 out of 10, citing the game as having "an even better story, better characters, more demons to collect and a bunch of gameplay improvements." ZT Game Domain hands out an impressive 8.8 out of 10 score along with their Editor's Choice Award, stating that "the story is very well told, and the situations and story driven set pieces are actually more enjoyable than the first game." RPGFan calls Devil Survivor 2 "a fantastic game worth every dollar" and gives it a massive score of 89%. With an all new story and cast, an expanded roster of demons to manage, vastly expanded party interaction plus a host of refinements and improvements over its predecessor, SMT: Devil Survivor 2 delivers everything fans loved about the first game and more. The sequel boasts an all new soundtrack from composer Kenji Ito along with an intense narrative and multiple endings based on player actions. There are also of course, all the beautiful visuals and sounds the SMT series is so renowned for, not to mention the highly addictive challenge of collecting, customizing, auctioning and fusing every last demon in the game! What if You Could See People's Deaths Before They Happened? The spread of a mysterious website that offers a preview of people's deaths, and the great calamity that suddenly strikes Japan – a mere coincidence, or part of something larger? A band of high school students must use the website to avert their own deaths, as well as others', amidst the unprecedented nationwide chaos. Adding a new dimension to traditional party mechanics, players must recruit new members to their team and then invest time into developing relationships with them. The closer the connection, the more effective they'll be in battle. Every party member is mortal and susceptible to death, making it essential that every decision be weighed carefully lest they be lost forever. Collect, Customize, Barter and Fuse Every Last Demon! Endlessly addictive, the task of discovering and enlisting new demons to aid you in battle is a staple of the Shin Megami Tensei universe. With nearly twice as many demons to find and unlock as in the original game, there's no shortage of work to be done in assembling and managing an army of your own demons for battle. The Shin Megami Tensei series has long been a favourite of mine, so as you can imagine I’m very, very excited about getting the chance to work on these two fantastic games. Talking of fantastic games, as I mentioned earlier the Fate/EXTRA (PSP) pre-orders are now live and seeing as the Ghostlight Store is the only place you can pick it up with these fantastic bonus items you should definitely go and pre-order it now :). That’s all for now. I’ll be back next week, but until then why not follow us on our Twitter and Facebook pages, our Youtube Channel and our Google + account, where we’ll be posting all the latest news from Ghostlight? You can also follow me on Twitter for a more personal take on all things Ghostlight. Wooo! Ghostlight comes to the rescue saving us from the terrors of 3DS region locking. SWEEEEEET!!!! THANK YOU THANK YOU THANK YOU!!!!!!! Awesome news guys, with this and the release of Fire Emblem this year I may now have to buy a 3DS. Is there any chance of you doing a double pack for these? YES!!! Exactly the games I was hoping for! I LOVE YOU GHOSTLIGHT ASDFGH loveyouloveyouloveyou with big wet sloppy kisses and a fistful of money!! AWESOME! I do own an US copy of Devil Survivor 2, but I'm there with Overclocked! Thanks guys, this is awesome. Yayyy! Thank you so much! I'm so happy that Overlocked will be coming to the EU after all. Thank you...I....I love you..... Marry me and we shall dine on a variety of lentil-based dishes and engage in political debates nightly over a glass of fine port! Most excelent, i was worried overclocked wasnt going to make it to the EU, many thanks Ghostlight. Now I just need the console (3ds) itself... Already got DS 2 from a trip to the US but I will definitely get Overclocked day 1. Thanks everone. @Alistair We're still waiting for a release date for DDS 1 & 2 but I'm hoping to have some news soon. Absolutely over the moon with this news~ <3 Another reason to get my hands on a 3DS :D You guys rock! For some reason it doesnt allow me to pre order fate extra.When im about to finish placing the order on pay pal this message pops up: Transaction cannot complete. : The transaction cannot complete successfully. Instruct the customer to use an alternative payment method. Im pre ordering from spain and the product can be delivered to spain,it sums 42.49 and i have in the credit card 43.32.So please help. I know this is a longshot but is there anyway you could get Persona 3 FES up on PSN or will I have to ask/bug Tecmo-Koei Europe instead?! @Richie You'll have to speak to Koei about that one I'm afraid. @rixi We're looking into your problem. Please stop placing orders until we get back to you. @rixi I'm sorry we're not getting any more information from PayPal could you try another card please? @rixi One other idea. Is PayPal offering you the option to convert the currency into your local one. If so please don't select it as I've heard it can cause issues. So when can we give you our money for DeSu:OC/DeSu 2? You lot are absolute stars! Here was me, thinking I'd need to import DS2 and write off the first game and out you come with this announcement. Perhaps the best JRPG publishers in Europe at this point, easily. @Matt We'll be announcing pre-order details closer to release. Cool. But why Agarest 0 since no games are sold in France on your site? I already do without the Trail in the Sky, and again a game to miss. Too bad I loved you well Ghost. Sorry for the translation of what is google. sorry for the trouble,maybe the problem is that there isnt enought money in the credit card so ill try tomorrow.thanks for the help anyway. This is great. GREAT. 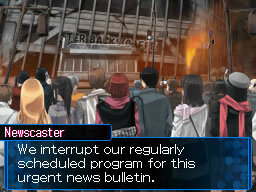 Day one for Devil Survivor 2. I don't own a 3DS, but I'm also thinking of buying DS1, I mean, IT HAS easy mode. @SirDarken It's because we have a distribution deal in France that prevents us shipping to France. You can buy our games in places like Amazon.fr though. Merci de l'information pour Amazon. Mais par pitié conservé Agarest 2, je veux la version collector! Enfin si vous le faites. Any news in the release date of Fate in PSN? thank you ghostlight. You saving my 3DS game library. keep up the good work. Well, it's a shame I won't be able to get this in time for my birthday (unless you intend to release the game in a little over two weeks), but I'll definitely be getting Devil Survivor Overclocked the day it comes out - I already imported Devil Survivor 2. If you have a bundle with both games, however, I don't see why I couldn't buy the second one again. Woohoo! I was about to order DS2 from the US pretty soon, but I think I'll wait for the UK version now - better to support the Ghostlight release! YES!!!! Thank you Ghostlight!!!! :) I have one question though. Where will these games (Devil Survivor Overclocked and 2) be made available to purchase in the UK? Only from your site? Or retailers/Sites? Thanks and sorry if thats a stupid question. dear Ghostlight, marry me you big hunk! Already bought the NA version of Devil Survivor 2, but owning the NA version of P3P didn't stop me from buying the EU version, so... Definitely buying both the day they arrive. Wait WHAT!? Not available to denmark? Who the hell did you made a deal with over here O_O I have been buying my ghostlight games from here and now I can't!? Could you point in the direction who has stopped you from shipping to Denmark? Or else I need my mate in the UK to receive the game for me which means.... DELAYS!!! After you announced that you got your 3DS licence a couple of weeks ago, I though that Devil Survivor Overclocked was a done deal (although I didn't want to tempt fate on the matter), but it's still great to hear confirmation. And Devil Survivor 2 as well is above and beyond what I was expecting. Thus truly is excellent news. Also, if it's not too conceited of me to ask, did my pokey little petition actually make any appreciable difference in the end? You have my money on DS Overclocked ! As for DS2, I'll pass since I already imported it, unless there's some kind of incentive that tickles my collector's sense ... Anyway, Thanks a lot for making the EU catalog of that stupidly-region-locked-3D-gaming-device more interesting ! Any chance of you looking into Etrian Odyssey IV in the future ? It may be a little early to ask, but it's just to know if you even consider that option. THANK YOU!!! I'm still drying my tears of joy, but they won't stop. I gave up on Overclocked like 2 months ago. But now I don't have to anymore! Are you guys considering a collectors edition for this? Being able to buy both games + some goodies in a one pack would be awesome. Great news. I am seriously beginning to wonder if it was such a good idea for me to buy an American 3DS, because I have to go through a lot of hassle each I order a game... So thanks for localizing such great games, and I might shift to an European 3DS soon. As an Ex employee I will hope for some free copies! Good work guys! Thanks for all the comments everyone :)@Belphegor86 Sorry I missed this earlier. We're looking into it but we're not sure if it will be possible. @Geo Not yet I'm afraid but we'll let you know on here when we get one. We're hoping th agp won't be as long as it was with previous games. @Giulio Sadly it won't be viable to translate it into any more languages :( @Tiffany They should be available both here and at retail when we release them. @Griever I'll try to find out who's handling the release in Denmark and then get back to you. @Ben It helped and I know several of us me included were keeping an eye on it :). @OoO We're aware of it but at the moment I can't comment further. @Chris There will be a collector's edition for both games. @dgnfly I'll look into it. @Steven Barber Haha. Fantastic announcement for sure! I imported both Devil Survivor 1 and 2 and they are fantastic games. The only 3DS import game was Overclocked so it would be great to finally be able to replay this wonderful game. Hopefully there will be a nice double pack but also individual Collector's Editions because I already have Devil Survivor 2. With the 3DS I hope you guys can procure Zero Escape: Virtue's Last Reward as well! 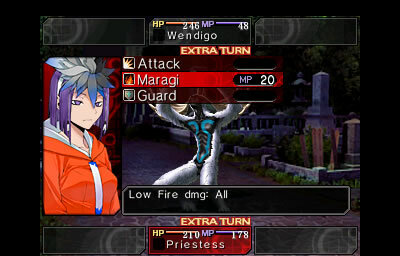 Perhaps a similar situation like Devil Survivor by also procuring 999 for the DS in Europe. 999 is my favorite DS game and I look forward to playing the sequel. For now I will import the PS Vita version which doesn't have the region lock, but might hold off on that if you can procure the 3DS version! I will buy these Day 1. Words can't describe how thankful I am for this. Ross I love you you know ? Can we expect some LE or a bundle ? The same thing you did for Persona ? @ross it's for like ps3 and vita but basicly all i care about is the ps3 version the game itself has been delayed till 2013 atlus just announced it for U.S but no europe that's why i ask. I don't understand.... I'm hurling my wallet at the screen but nothing's happening!! Why aren't you taking my money??????? This is great, I have been waiting for this moment since I bought my 3DS. Thank you for these wonderful news! Like Aerodynamisch, I am very pleased at this announcement, and also hoping for Virtue's Last Reward to arrive over here. That would just be utterly fantastic! You guys rock, thank you so much!!! I already have DS2 so I won't be buying that, but I will be getting DSO, because of the region lock. Yay, can't wait for release date, whenever that is. Thank you, Ghostlight for bringing these awesome games here :) By the way will the voices be in English or in Japanese? Would be pretty cool if Japanese was available, but English is fine too. Hi, do you know if these are coming to Australia? I've been holding off on the 3DS because of the stupid region restrictions. @Seishoujyo There will be a collector's edition and we're also looking into the possibility of a double pack but we're not yet sure if it will be possible. @Jert I've not played them myself yet but it's going to be the same as the US version in that regard. @Cynicide I'm not sure if it will make it to retail in Australia but we shipp all our games from our store to Australian customers. Excellent news. Thank you so much. Day 1 (both). Btw, any date? @Ashe Cross No date yet. But it should be later this year. @Jert If the voices are going to be the same as the US version, then that means English voice acting only. There was actually a big brouhaha about this last year on the Atlus USA forums. Certain people wanted dual-audio, but Atlus USA said that they weren't doing it for what essentially boiled down to two (very good) reason: 1)sound files take up a lot of room, and there wouldn't actually be space on the cartridge, and 2)it would mean getting an additional licence to use the Japanese voices and extra work on Atlus USA's part, both of which would cost extra money, but having dual-audio would not bring nearly enough extra sales to compensate. Hey Ross, Any update on Denmark? @Griever Thanks for the reminder. I have asked but I'll chase it up again. I've considered importing Devil Survivor (DS release) for a long time, but I prefer buying 'locally' whenever possible. It seems it was well worth the wait after all. Ghostlight once more saves the day! :-) Bring on the collector's edition double pack! Thanks Ghostlight! :) I almost gaved up on Overclocked. You guys saved us once more. <3 Keep up the good work. It's like : Here, you can have all my money.Give me these games. I hope it sells good so you can port more from NTSC to PAL. Looking forward to it. @Julien_N While we have a good relationship with atlus and love working with them we aren't actually linked beyond that. So we have to negotiate the rights for each game seperately. Soul Hackers looks interesting and I will be mentioning it to my boss. This is amazing news! I'd given up on ever seeing one of the SMT DS games come to Europe...now at the eleventh hour, you guys step in and fulfill one of my dreams! Are there any plans to localise any other DS games that didn't get a PAL release? I'm sure you guys are aware that there was a boat load of RPG's that Atlus released in the US, but never saw a release over here. @Paul We're always looking to pick up more games so it's possible. At the moment though we don't have any confirmed. Oh god... I LOVE YOU GUYS! Like always, I find the news late. :) But my prayers were answered: part two comes in DS,not 3DS.This is by far my favorite game series (and maker).I hope they keep up the good work!!! Is this game coming to the whole PAL region or just EU(european union)? Or which countries are getting this game exactly? Hoping it'll come to Finland. @Mr.Late That's the plan but of course it will depend on retail support. Either way our version will work on Finnish 3DS. @Mr.Late Not yet I'm afraid. I'll post a release date on the blog when I get one.